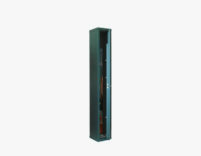 The AS 18 cabinet is the line of modular cabinets made up of five elements assembled together with the doors. 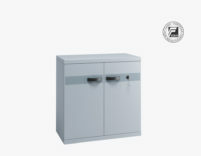 The AS 18 armored cabinet is easily transportable and is characterized by an extreme simplicity for installation. 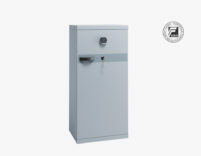 The AS 18 modular armored cabinets, even if internally bolted, maintain the same guarantee of safety and resistance to break-in that characterize the monoblock cabinets. All doors rotate on sturdy steel hinges that allow a 180 ° opening. Closure with 4 + 2 bolts. The types of closure are certified EN 1300 CLASS A or CLASS B. 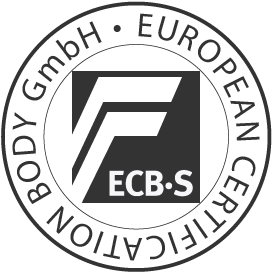 Cabinet certified by ECB.S. 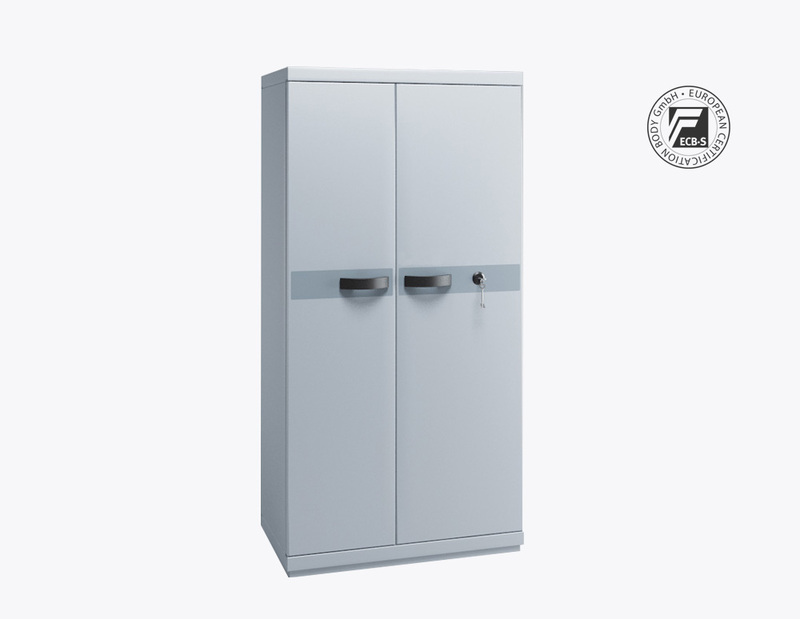 with safety level S1 according to EN 14450 regulation. View certification. 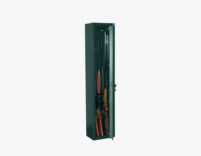 Recommended for frequently usage, it allows a quicker but safer handling thanks to infinite possible combinations. 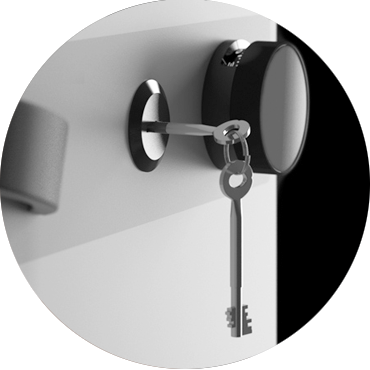 The 3 discs mechanical combination combined with the key increases exponentially the inaccessibility to the cabinet. 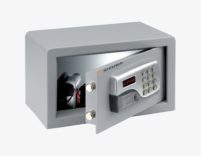 The movement is controlled by the key but it is supported by the infinitive possible combinations that the keypad provides.